A Happy Easter from all of us to all of you! We're taking a break for a few days to spend time with family and friends and enjoy the Easter holiday. But I'll be back, certainly before the end of the week, to remind you about Picking your Precious for the first Sunday of April. Have a Happy Easter! I hope you have the best Easter ever! 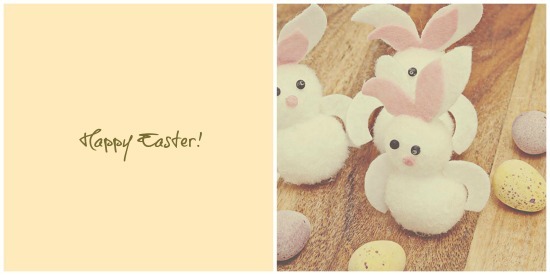 Happy Easter to you, dear Sian, and to your whole family. I do not have the week off, so no vacation for us. Happy Easter, the Lord is Risen He is risen indeed. Happy Easter to you and yours Sian. Enjoy the family time. And sending warmest good wishes for peace and joy to you and all the family, Sian. Happy Easter to you and your family Sian. Happy Easter and enjoy your break. Have a good break, Sian! Happy Easter - enjoy your break! Happy Easter to you and yours, Sian! May you all enjoy your Easter break together. enjoy your time with your family, Sian. Happy Easter. I can't believe it - this just popped up on my blog reader (feedly) now!